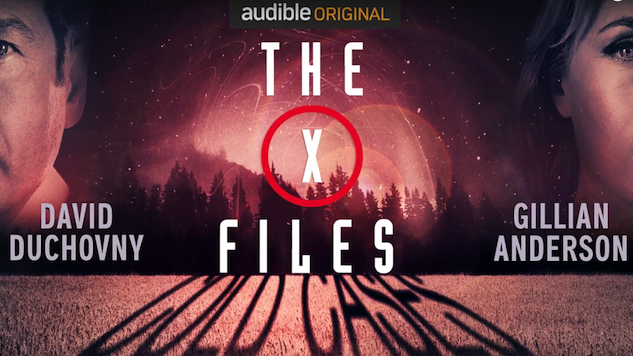 Audible Studios plans to release The X-Files: Cold Cases, an Audible original audio series, on July 18. Most notably, the production will feature original X-Files cast members David Duchovny and Gillian Anderson as the beloved FBI agents Mulder and Scully. Honestly, what is X-Files without their sMuldering chemistry? A database breach at FBI headquarters allows an unknown group to access and capitalize on those investigations left unsolved—dubbed cold cases—by the secret department once known as The X-Files. As friends and foes of the agency long thought gone begin to inexplicably reappear, former agents Mulder and Scully come out of anonymity to face a growing conspiracy that involves not only their former department but the U.S. government and forces not of this world. Not only will we enjoy Duchovny and Anderson’s unforgettable banter, but we will also see the return of series regulars like Walter Skinner (Mitch Pileggi), Cigarette Smoking Man (William B. Davis) and the Lone Gunmen (Tom Braidwood, Dean Haglund and Bruce Harwood). Cold Cases will also feature a thrilling array of extraterrestrial sounds to give us the full X-Files experience. From hissing aliens to hovering UFOs, Cold Cases hopes to completely immerse the listener.